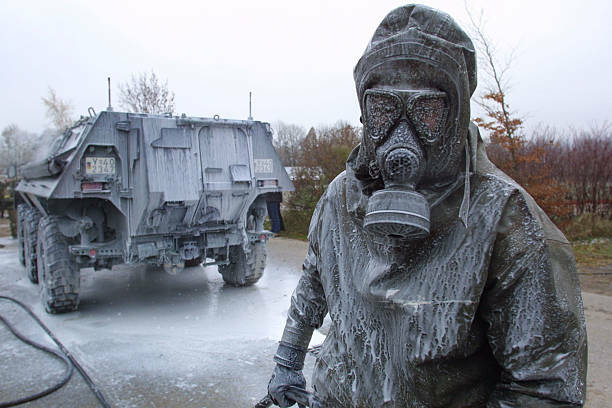 Germany military anti-nuclear, chemical, and biological weapons contacting demonstration at battalion headquarters November 19, 2001 in Sonthofen, Germany. The first three agents are clear, colourless, tasteless liquids. VX, an oily, amber-coloured liquid, is the most deadly - a drop on the skin can kill a person within minutes. What was used in this case? Police have not confirmed what agent was used, but a source has told the BBC it was likely to be rarer than sarin or VX nerve agents - two of the best known. When have they been used in the past? The half-brother of North Korean President Kim Jong-un was killed by a nerve agent in an attack in Malaysia last year. Kim Jong-nam died in less than 20 minutes after two women smeared his face with VX nerve agent ingredients at Kuala Lumpur airport in 2017. The UN says the nerve agent sarin has been used by the Syrian government - in an attack on Ghouta, near Damascus, in 2013 and again in Khan Sheikhoun in the north-west of the country in April 2017, killing hundreds. In an attack on Tokyo's subway system in 1995, which killed 13 people, liquid sarin was placed in plastic bags that were pierced by umbrellas with sharpened tips. When Russian dissident Alexander Litvinenko was poisoned in London in 2006, a radioactive substance - not a nerve agent - called polonium 210 was used in a cup of tea. What do they do to the body? Nerve agents block the messages from the nerves to the muscles. This causes a collapse of many bodily functions. They will act within seconds or minutes if inhaled and slightly more slowly if exposure is the result of skin contamination. 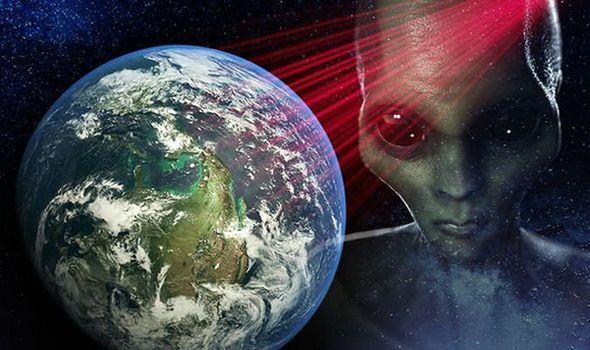 Symptoms include white eyes, as the pupils become constricted, convulsions, drooling and in the worse cases - coma, respiratory failure and death. If you have ever sprayed insect repellent at a fly, you might have seen it drop to the ground and lie on its back, legs twitching. This is the result of nerve agents taking hold. The nerve agent needs to be ingested, inhaled or to penetrate through the skin, so it usually requires the person delivering it to get very close to the people they are targeting. Only tiny amounts are required for it to take effect. It is so toxic that it would usually be transported in something tightly sealed and those who apply it will need protective clothing. Dr Andrea Sella, professor of inorganic chemistry at University College London, said because of the extreme toxicity of the nerve agents it would be "very dangerous" to the person who delivered the poisoning. Is there a risk to the public? Yes! Despite their extreme toxicity, a person need to be physical in contact to the chemicals in order to be affected by them. They would also decompose relatively swiftly in damp conditions, Dr Sella said. Dr Hilary Walker, a former radiation scientist and health emergency planner, said there were "well-rehearsed" emergency procedures to prevent contamination by these chemicals. These included the hosing down of streets that took place in the immediate aftermath of the incident in Salisbury. There are antidotes to help reverse the effect of nerve agents, which the emergency services hold. But the sooner the treatment is delivered the better the chance of recovery. Knowing the exact substance enables more targeted treatment. Alastair Hay, emeritus professor of environmental toxicology at the University of Leeds, said the people affected may well have been treated with atropine, which is one of the chemicals used to treat individuals with this type of poisoning. "The problem occurs if the treatment is not provided quickly," Prof Hay said. "There is paralysis of the nerves and the muscles, and that inhibits breathing and leads to some damage in the brain. At this stage we don't know if that is a problem. "Many people appear to recover without too many long-term problems but we won't know until we know the severity of their symptoms." Nerve agents are not materials that can be made at home. Their level of toxicity is such that they are only allowed to be manufactured in specialised facilities, such as a university or industrial laboratory. Discovered by accident in the 1930s by scientists trying to find a cost-effective pesticide, they proved to be highly toxic chemicals that eventually ended up in the hands of the German military. Russia, the US and the UK also started to experiment on chemical agents after World War Two and it was British scientists who developed the VX nerve agent at the Porton Down research facility in the early 1950s. Some experts say it is likely the nerve agent used in Salisbury has come from a state. But Dr Simon Cotton, a senior lecturer in chemistry at the University of Birmingham, said it could also have been made by a group with access to the right facilities. "It could be a state making it but it doesn't have to be. People shouldn't jump to conclusions." How do you find where it came from? The authorities would be looking for the container used to deliver the material, as the chemical contents would be a "goldmine", Dr Sella said. "With this information it might well be possible to trace the origin of the substance, just as has been done for the Khan Sheikhoun attack in Syria." Chemical weapons expert Hamish de Bretton-Gordon said each country made chemical weapons "slightly differently" which might help scientists determine where this attack had come from.